Carol L. Hume, Dipl. Ac., L.A.c. 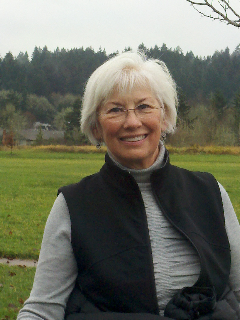 Carol L Hume has been a licensed acupuncturist for 15 years. A graduate of the Minnesota Institute of Acupuncture and Herbal Studies, she chose to study and practice acupuncture and Chinese herbal medicine because of its emphasis on PREVENTION of illness. She is focused on treating Adults and Children to help maintain their health. She has experience with chronic health issues and the challenge of cancer treatments. Carol is a certified practitioner of the Gut and Psychology/Physiology Syndrome diet program, holistically helping people develop the best diets for their situations including irritable bowel syndrome, asthma, allergies, neurological conditions, migraine headaches, chronic sinus infections, autism spectrum disorders, anxiety, and depression. An avid hiker, cyclist, and gardener, Carol also works well with people experiencing pain and needing help from sports and activity injuries. Her interests and past studies include Homeopathy, herbal remedies, small farming, knitting, and more… She would love to see you. Many people feel the impact of Seasonal Changes. Carol can apply acupuncture treatments and herbs to help your body with the transition. For example, treatments can help transition the body in the Spring (detox the liver) when people can get overwhelmed - leading to depression and allergies. Excess Heat (affects the heart) in the Summer and dryness (in the Fall) can damage the lungs. Winter and excess cold injures the Kidney for people living in Northern regions. All of these can be remedied with herbs, acupuncture and dietary advice.